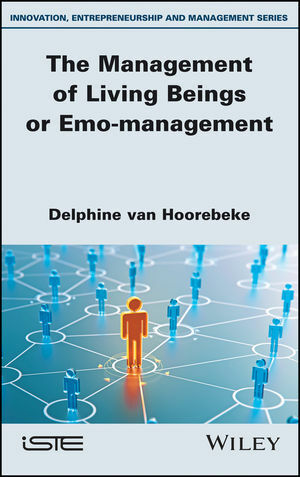 This book is based on the author's research carried out over the last ten years in terms of emotional management. It establishes the intervention of emotions at all levels of management: the Littré definition, management being the art of the possible, "the art of guiding, managing, handling, motivating ... even resolving and arranging". Emotion is a subject studied particularly in management in English speaking countries and has become a topic of growing interest in organizational behavior. E-motion is, in this book, considered based on its etymological origin (ex-movere: put into action by the external factors). The objective is to demonstrate a new vision of responsible management and to confront the current challenges in motion. In this way, the latter tends to take into consideration the 'living', i.e. the psychobiological, neurological and sociological aspects of people in business. Delphine Van Hoorebeke, University of Toulon, France.